As you'll know cloud storage is one of the most interesting invention in tech field, with cloud storage we have freed the memory on our native machine. but with android we are blessed to have apps made specifically to take backup of data we have on our handsets. and after taking backup we can easily access that data on any machine having internet connection. We can take backup of data on our machine also and the files will be shown to you on our handsets, we can access that file from that handset and even make changes to it and store it again and the same update will be shown to you on your machine also. that is the beauty of cloud storage. ACCORDING TO WIKIPEDIA:- Cloud storage is a model of networked online storage where data is stored in virtualized pools of storage which are generally hosted by third parties. ( but we don't have to try very hard to know its meaning, because in simple language cloud storage means it is a online storage area where data is usually hosted by third parties that we can access with help of internet connections). Many people might be having some doubt about security of that uploaded data, but I think that uploading data on cloud or on your email id is same thing because both have same procedure to upload the file, but in cloud storage if you have any doubt about the security of the data you can always upload the data after encrypting it, and many software are available to encrypt your important data now a days. so for security point of view you can always encrypt your data for storing. And one of the best advantage of cloud storage is you can get hold of your data anywhere , on any machine with internet connection. for example if you have an important seminar and you loose your pendrive somewhere, then instead of going to find pendrive you van easily go to your cloud account and complete your presentation. after that you can go and find your pendrive. 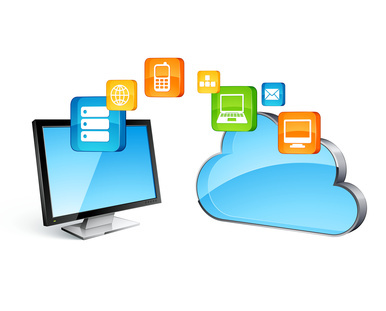 so now we are going to share some applications that help you in storing your data on cloud. Dropbox lets you bring all your photos, docs, and videos anywhere. Dropbox is a free service that lets you bring all your photos, docs, and videos anywhere. After you install Dropbox on your computer, any file you save to your Dropbox will automatically save to all your computers, your Android device, and even the Dropbox website! With the Dropbox app, you can take everything that matters to you on the go. it offers 2 GB basic free space for all and you can get 250MB free space for every person joints in dropbox through your referral. You can use dropbox in Windows, Linux, Mac and Mobile phones. DOWNLOAD DROPBOX FROM HERE - DROPBOX. with Google Drive, you can store all your files in one place, so you can access them from anywhere and share them with others. 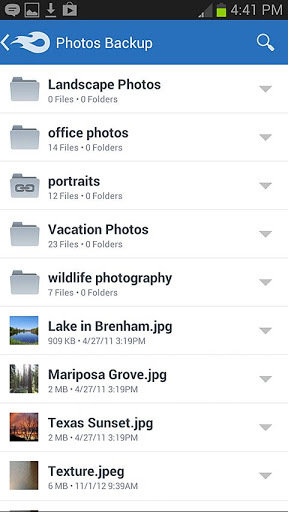 Access files others have shared with you on Google Drive. Make any file available offline so you can access them even when you don't have an Internet connection. Create and edit Google documents with rich text formatting. Edits to your Google documents appear to collaborators in seconds. download GOOGLE DRIVE from here - GDRIVE. 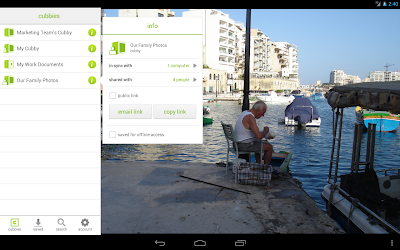 Box for Android lets you view and share files from anywhere! With 5GB free, Box makes it easy to access and edit your files, share content and stay connected with your team from anywhere on any device. Box allows you to do all these things and more! Box OneCloud is our ecosystem of apps where you can annotate, e-sign and do more with your favorite productivity apps. More than 120,000 companies - including 92% of the FORTUNE 500, rely on Box for simple, secure content sharing. Invite colleagues to shared folders and leave comments on files for them (note that you’ll need to grant permission for the app to access your contacts – we only use this permission to quickly retrieve email addresses when you want to invite collaborators, and we do NOT store any contact information on Box’s servers). Download app for box from here --- BOX. With SugarSync, you get free cloud backup that you can use to sync files, share folders, and access your data directly from your Android device. If you like Dropbox, iCloud, or Carbonite, you’ll love SugarSync. Automatically back up and sync photos & videos to your computers (no wires needed)! Share any file or folder, even if it’s huge, over email, Facebook, Twitter, or even SMS. If you don’t have an account, you can sign up from the app and get 5 GB of free online storage. Download SugarSync from here ---- SugarSync. 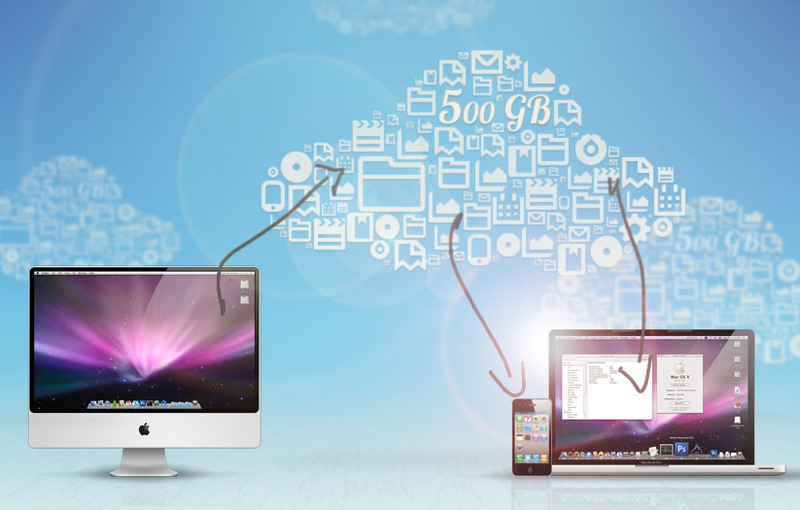 IDrive Online Backup makes it possible to backup files from Windows and Mac computers, iOS and Android mobile devices. 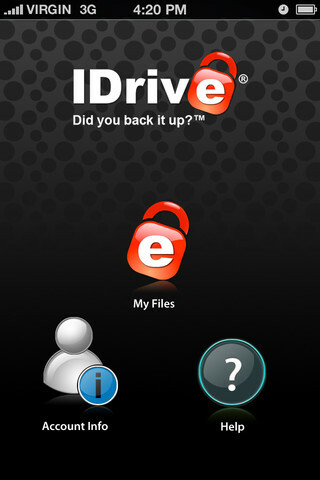 Protect, access and share your digital life with IDrive! Your first five GBs of storage are free! Download iDRIVE from here -- iDrive. MediaFire provides a complete and easy to use service for managing your digital stuff. Whenever and wherever you go, MediaFire makes sure that your files are always with you. Never be away from your important files again! With 50GB of free storage. Keep all your important files at your fingertips. View docs, spreadsheets, presentations, video, and listen to audio. 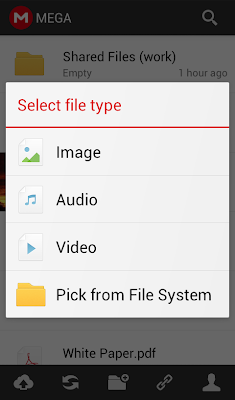 Take and upload pictures and videos directly in the MediaFire app. 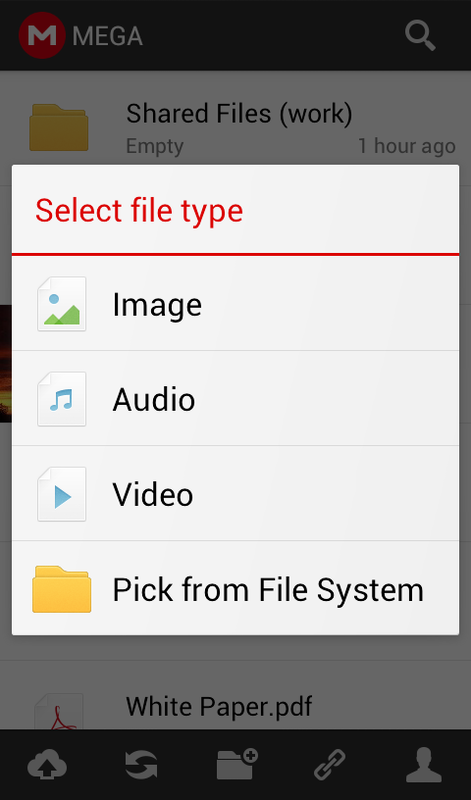 Create and manage folders of files. 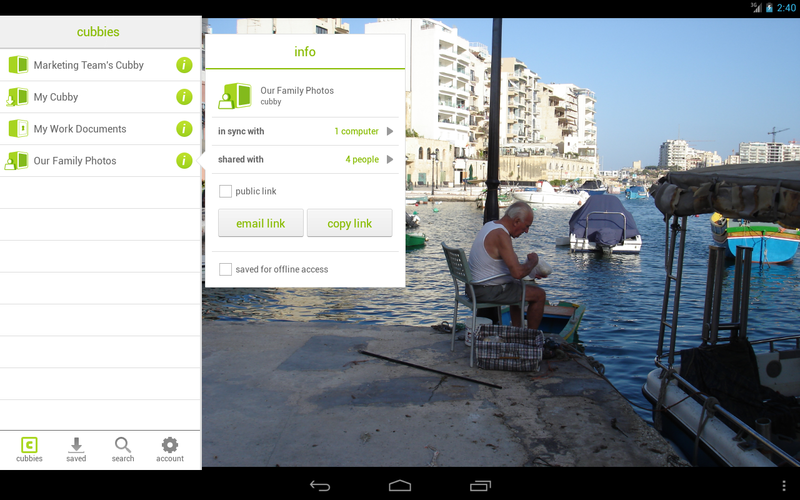 Share files on the go via email, SMS, through other Android apps, and with copy and paste links. Quickly search all your MediaFire files and folders. Mediafire is my favorite app for cloud storage. it is very easy to use and makes it possible to share link with your friends extremely easy. Download Mediafire from here - Mediafire. SkyDrive is the place to store your files so you can access them from virtually any device. Access all of your SkyDrive content including files shared with you. 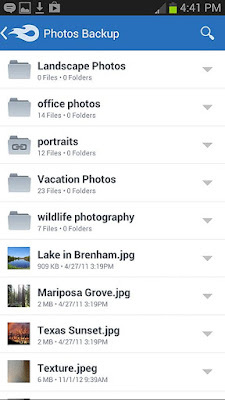 Share your files and photos – send a link in email or in another app. 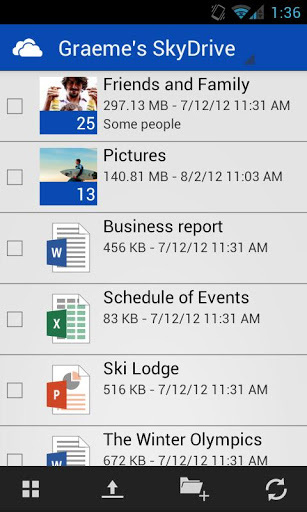 Open your SkyDrive files in other Android apps. Manage your files – delete, or create new folders. Download it from here - SkyDrive. MEGA is secure cloud storage service that provides you with 50 GB of secure cloud storage for free. Everything you upload to MEGA is completely encrypted and the key stays with you. Camera Sync, two-ways transfer, password encryption are the main features of this app. Ubuntu One gives you 5GB of free storage for all your files, photos and music, watch as they magically appear on all your devices. Ubuntu One works on Windows, iOS, Android, Ubuntu and via the web. 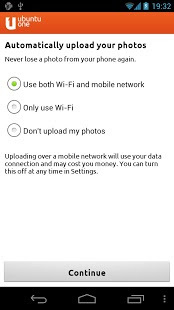 Auto upload - any photo you take will appear online and on all your devices, the instant you take it. The U1 Files app also automatically uploads images from other photo apps you use, so if you’re into Instagram, it will automatically upload all those cool images to your Ubuntu One personal cloud, making them available on all your devices. internet speed is indeed very bad. but we have to live with what we are provided. cloud storage is the best innovation we have till now. What's up Dear, are you truly visiting this web site on a regular basis, if so then you will absolutely obtain pleasant know-how. I'm gone to tell my little brother, that he should also go to see this blog on regular basis to obtain updated from most up-to-date news. your website and in accession capital to assert that I acquire in fact loved account your blog posts. Any way I'll be subscribing for your feeds or even I success you get right of entry to persistently quickly.